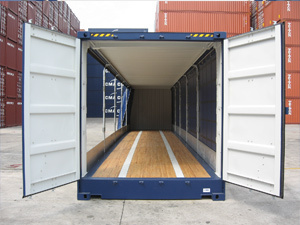 The design of our 45ft Curtainerside pallet wide container is patented worldwide and is a fully intermodal unit that can be top and bottom lifted and stacked up to 6 high. It is designed for use on ship, truck, rail and barge. 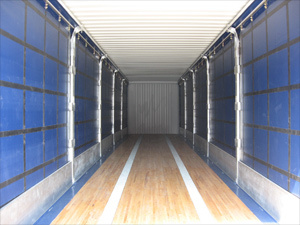 Like the standard 45ft option, the curtainside container stows up to 33 euro pallets and provides a competitive multimodal alternative to the road trailer.